One of the world's most prestigious integrated oceanfront marina residential communities, Sentosa Cove is the centrepiece of Singapore's billion-dollar Master Plan for Sentosa Island. Sentosa Cove Pte Ltd (SCPL), a wholly owned subsidiary of Sentosa Development Corporation, a government statutory board was established to undertake the master planning, infrastructure development, project management, and land sales of Sentosa Cove. 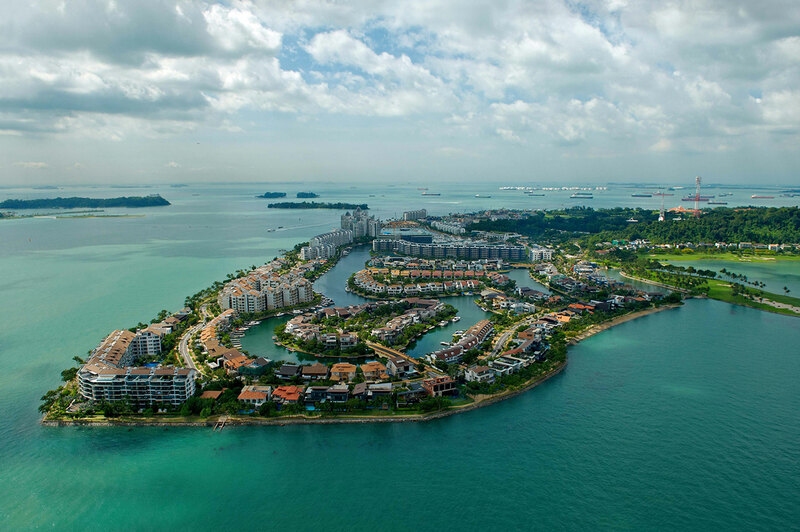 From the beginning, Sentosa Cove was destined to be primarily a resort residential zone – the only such area on the island – though it would also include a hotel resort, yacht club and marina. As Sentosa matured into a leading leisure destination, Sentosa Cove would become the residence of choice for those who would enjoy having an island resort as their playground. In refining its blueprint for a premier waterfront community, Sentosa Development Corporation enlisted the expertise of foreign consultants, drawing upon the best of their varied experiences with seaside developments around the world.